leadership. noun. the action of leading a group of people or an organization; the state or position of being a leader. If you looked up the word leadership in a dictionary, you will likely find a definition similar to the one we provided above. If you took things a step further and asked people what leadership means, you are likely to get as many answers as the number of people you ask. As you can see, there are many facets of leadership, both descriptive (e.g., “leadership is . . . “) and normative (e.g., “leadership should be . . . “). You’ll learn how to apply the principles of leadership to your daily life, regardless of whether you are leading a Fortune 500 company or your family. Principles are the bedrock foundation that your leadership will be built on. They will enable you to navigate your world in a successful and satisfying way and create the impact you desire. To inspire you and help you grow in leadership ability, we’re offering this list of leadership principles. This list draws on well-established principles held by effective leaders and organizations like Steve Jobs, Ray Dalio, Amazon, and the U.S. Marine Corps. 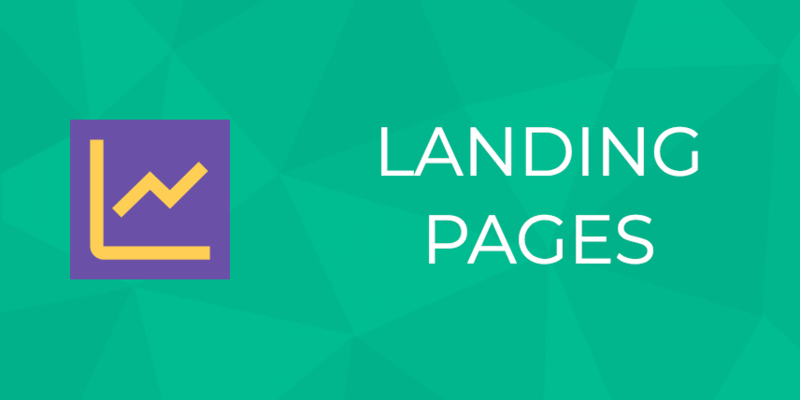 Try using them as a creative springboard for creating your own principles, which we’ll cover in the next section. Video: Top business leaders, like fashion designer Tom Ford, have remarkably high standards. How does such a leader keep perfectionism in check, though? One clue may be to balance it with the need to deliver reliably. If your high standards are causing you to push deadlines back or cancel projects or events, it’s time to reassess your priorities and rebalance your principles. Set the example: The U.S. Marines defines this as: “Be physically fit, well groomed, and correctly dressed. Maintain an optimistic outlook. Develop the will to win.” How might business leaders define setting an example? Be proficient in your field. “Respect is the reward of the Marine who shows competence.” – from U.S. Marines Leadership Principles. Ownership: Define what a sense of ownership might mean for leaders. Know your team members: What are their strengths and weaknesses? Why is this important? Ray Dalio pairs people based on the their strengths and weaknesses: he might pair someone who is creative and unreliable with someone who is reliable but uncreative. Postpone judgment and listen deeply: Bob Kulhan sometimes refers to this principle as “Yes, and . . . ” That’s shorthand for being open to new ideas and actions and questioning the assumptions at hand. Innovate and simplify: Amazon uses “invent and simplify.” Simplicity and innovation were emphasized by Steve Jobs. Energy and attitude are choices: This principle is advocated for by Bob Kulhan, CEO of Business Improv. Keep your team informed: This principle is advocated for by many, including the Marines who find it promotes “efficiency and morale” and helps team members do their job “intelligently.” Some business leaders — like Ray Dalio — advocate for “radical transparency.” This includes having a system where people can put honest thoughts on the table and engage in thoughtful disagreement. It includes protocols for getting past disagreement. Video: Tony Robbins defines leadership as being a person of influence. He emphasizes the need to destroy the artificial limitations that your thinking patterns may impose on your leadership potential. Hopefully the examples we provided offered some inspiration from which you can use to start drafting your own set of principles. You can have as many (or as few) principles as you’d like. They can be simple or complex. And they’ll likely change over time. Video: Ready to create your own principles? This free 8-part animated video series by Ray Dalio will guide you on your adventure. Dalio, the author of Principles, is a billionaire investor, successful hedge fund manager, and philanthropist. We’ve spent some time covering the principles of good leadership, but what about the leaders themselves? What makes a good leader? What traits, qualities, and characters should someone have to succeed as a leader? Like the principles underpinning leadership, the opinions on what makes a good leader are just as varied. Leaders “make the hard choice, and self-sacrifice in order to enhance the lives of others around them,” according to Joel Farar of the Farar Law Group. Video: Bob Kulhan, CEO of Business Improv, explains his “Yes, and . . . ” principle. Kimberly Fries, a millennial communication and leadership coach, includes integrity, loyalty, and decisiveness (among other traits) in her list of 8 Essential Qualities that Define Great Leadership. As you can see, there are many traits a good leader can (and should) have. Cultivating these could easily be a lifelong project! Video: “A leader is not someone who sits a certain place or acts a certain way, but is a person who is willing, able and entrusted to articulate, embody and help realize a story of possibility for a group of people at a point in time.” Gianpiero Petriglieri, program director at INSEAD, provides a rich and succinct definition of leadership. As we mentioned in the section above, cultivating all the traits that a good leader ought to have could easily be a lifelong project. Nevertheless, we think that doing is likely to yield benefits to numerous to mention. And, as the old adage goes, “The best time to plant a tree was twenty years ago. The second best time is today.” We feel the same way about leadership skills development. So with that said, how do you go about developing your leadership skills? Before we proceed, we want to note that anyone can learn leadership skills. Yes, some people seem to be born natural leaders, but if that isn’t you, don’t despair. Learning leadership skills might be more challenging for you, but with the right tools and the right attitude, you can make a lot of progress. One of the first things you should consider doing is figuring out your leadership style. Everyone has a slightly different style, and though no test can be nuanced enough to identify each and every trait that makes up your overall style, the generalizations are sufficient to point you in the right direction when it comes to choosing resources, working with your strengths and weaknesses, and so on. Harvard Business Review’s Assessment: What’s Your Leadership Style? University of Southern California’s Sol Price School of Public Policy’s Leadership Style Quiz: Identify your Style — before you begin, you can see the overarching types the quiz uses. Now that you know what kind of leader you are, as well as what might be your strengths and weaknesses, you’ll know what skills you should focus on as you seek out the appropriate resources. Transformational leaders foster curiosity in their teams and work as agents of change. They work together to improve conditions and achieve goals. Inspiration and cooperation drive transformational leaders toward positive change. However, after reading an in-depth explanation of this leadership type, perhaps you realize that while you are communicative, you aren’t necessarily the most effective communicator. As such, courses, books, articles, and other resources on improving your effective communication skills would be a good starting point. We do want to note that part of this planning process involves identifying both skills that you are strong in, as well as those where you are lacking. It can be tempting to focus and work on traits where you are strong — and there is definitely room for that, since everyone always has room for improvement — but we recommend focusing on weaknesses first. Video: Today’s requirements for innovation and speed trump the industrial era’s sole focus on efficiency. 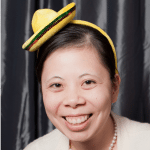 Charlene Li, Founder of Altimeter Group, explains why command and control hierarchies are out and why leaders must find ways to harvest the best ideas from insightful employees who reside at the intersections of digital change. German political philosopher and political theorist, Hannah Arendt (famous for her insights into totalitarianism of the 20th century) amassed a library of “4,000 volumes, ephemera and pamphlets”. American newspaper publisher William Randolph Hearst, who founded Hearst Communications in 1887, acquired two libraries that, together, contain over 7,000 books. Now, you might look at the anecdotes above and wonder if reading is still important for the leaders of today. Warren Buffet and Mark Cuban agree that regular reading is the key to success, with Cuban reading upwards of three hours per day and Buffet reading five to six hours per day. While you do not need to mimic the reading lists of the greatest leaders, gaining a knowledge advantage can only help you as you improve your leadership skills. These 8 books will expand your thinking about leadership and inspire you to accelerate your growth. 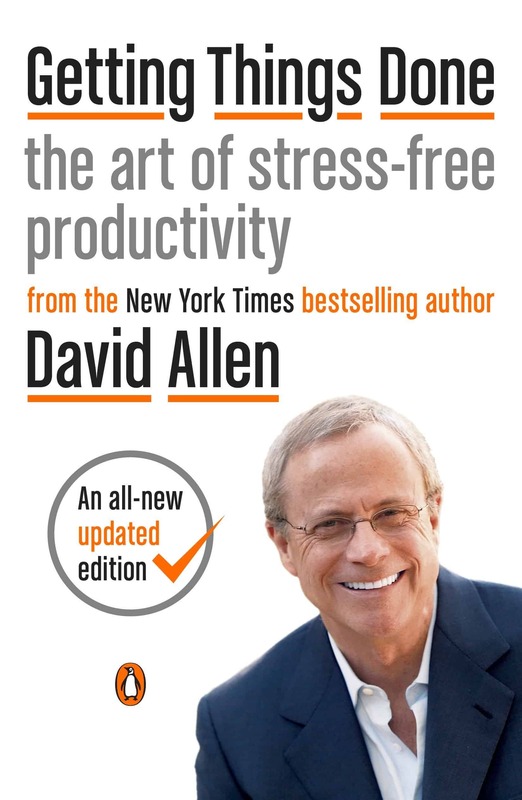 This best-seller has brought peace of mind and stress relief — along with boosted productivity — to millions. Much of the appeal of GTD is in the quality of life it brings. Buy the book and do the short exercise described near the beginning. You’ll be amazed at the peaceful state it produces. Strategic thinking is a crucial leadership skill. You’ll be hard-pressed to find a more important book on strategy than this one. 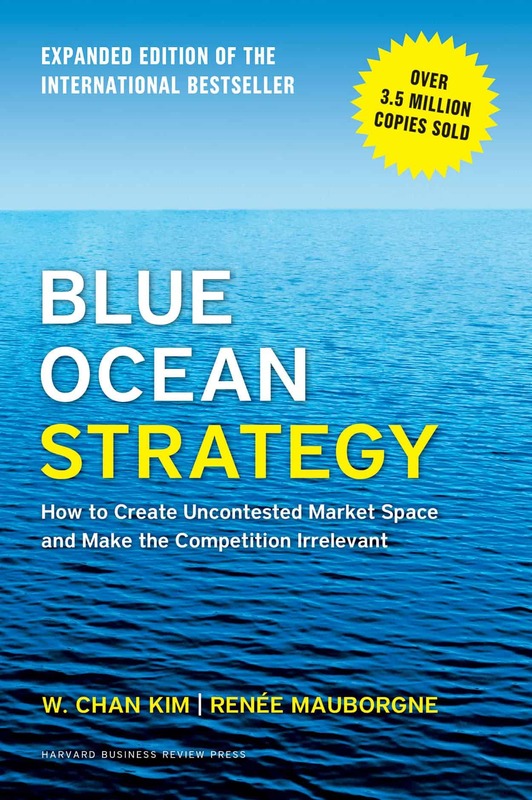 The foundation of blue ocean strategy is “value innovation.” “[I]nstead of focusing on beating the competition, you focus on making the competition irrelevant by creating a leap in value for buyers and for your company . . . ” write the authors. In the book, you’ll learn about their unconventional — and brilliant — Blue Ocean Leadership approach. Explore the Blue Ocean Strategy website, the online Blue Ocean Academy, and consider picking up Blue Ocean Shift, the 2017 follow-up to the original book. Video: The Blue Ocean Strategy website offers many supplemental resources for applying the strategic concepts outlined in the books. Collins’s book popularized his concept of Level 5 Leadership, leadership characterized by a high level of self-awareness and an ambitiousness for the company and others, rather than self. Some of the research performed by the CEO Genome Project has buttressed Collins’s earlier leadership research. 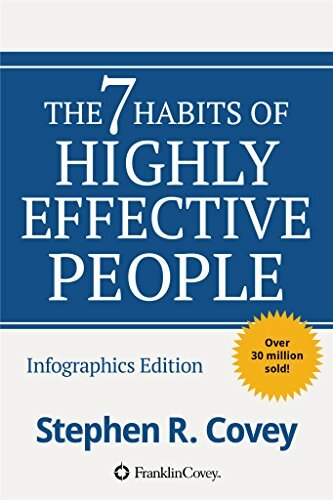 “Begin with the end in mind,” “Synergize,” and “Think win-win” are three of the well-known habits that Covey popularized in this perennial best-seller. Everyone needs a why. 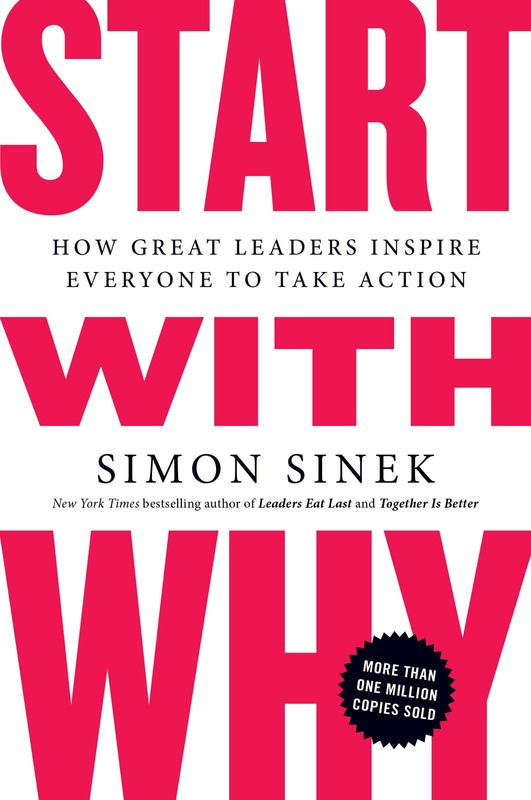 Simon Sinek suggests that being able to communicate why is at the heart of being able to influence others to commit to a mission. 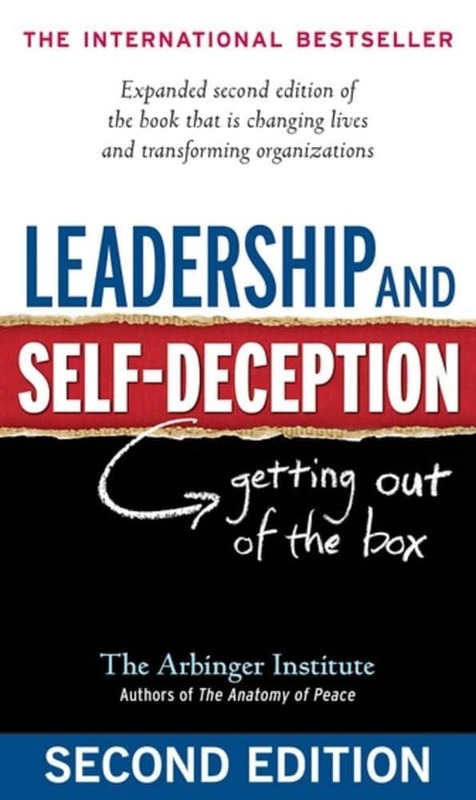 The thesis of this book is that self-deception (or lack of self-awareness) is at the heart of most personal conflicts and organizational problems. Exaggerating others’ faults and our own virtues are two elements of this self-deception. Video: The Arbinger Institute outlines some key concepts in the popular book. The velocity of social and technological change directly impacts the way leadership. How might leadership change in the future? There is kind of a circular process by which leaders affect the future and the future effects leaders. We have spent a lot of time talking about what leadership is and how you can work on your leadership skills, and in this section, we will collate the information we provided into a step-by-step guide that you can use as you go about your leadership journey. Decide on your guiding principles. Principles underlie good leadership. Decide on at least a few principles that will guide you, and write them down. This may begin as a process of discovery at first. Consider leaders you admire. What principles guide them? Decide how you will measure personal success. Setting up metrics by which you can measure your successes and failures will foster your growth, development, and improvement. Hone your communication skills. Communication is critical to good leadership. It’s at the center of influence, negotiation, persuasion, and conflict resolution. Ask for candid feedback from those you trust on your communication skills and create a written plan to improve. Explore concepts like active listening and emotional intelligence. And learn how to give concise and persuasive business presentations. If you’re uncomfortable speaking in front of others, join a local Toastmasters International group to acquire experience. Learn to identify the problems worth solving. The organization or project you are leading has limited resources. Hone your ability to identify problems worth solving and you’ll be more successful and stand out. Tip: Learn everything you can about making data-driven decisions. Search for free or low-cost online courses that will introduce you to this concept. Consider starting with this series of video interviews with Wayne Winston, Professor of Decision Sciences at Indiana State University. Commit to personal growth and development. Commit to your personal growth and development. Set concrete, measurable goals. Perhaps you want to read (or listen to) ten business books per year. Or maybe you want to attend a leadership retreat on an annual basis. Your goals can be as simple as taking time to reflect on your leadership skills this past week on a weekly basis. Video: In this excerpt from his Lynda.com interview on analytics, Wayne Winston discusses how Mark Cuban uses analytics to gain an edge in leadership decisions for the Mavericks. Winston is a professor of decision sciences at the University of Indiana. Cuban is one of his former students. If I’m interviewing for a leadership position, what are some questions I should be prepared to answer? Tell us about your leadership competencies. What experience relevant to this role do you have? What leadership responsibilities do you have in your current position? Tell us about a time you assumed a leadership position. What happened? What were some of the challenges you’ve faced in the past? How did you handle them? How do you see yourself leading the team/business/company? You can quickly grasp the important difference between the two if you envision a group of producers cutting their way through the jungle with machetes. They’re the producers, the problem solvers. They’re cutting through the undergrowth, clearing it out. The managers are behind them, sharpening their machetes, writing policy and procedure manuals, holding muscle development programs, bringing in improved technologies, and setting up working schedules and compensation programs for machete wielders. True leadership is not about acquiring power over others or prestige. It’s not about presiding over activities from a comfortable distance. True leadership begins with knowledge of, and mastery of, ourselves. It grows with self-awareness and inherent “teachability.” And it often requires stepping into roles before we feel fully ready. Built on principles and a foundation of ethics, true leadership charts a course toward a worthy goal and closes the gap by drawing out the greatest potential in others. What will you do in 2019 to become the leader you were always meant to be? Soft skills are in short supply and high demand. Here are some practical things you can do to develop your communication skills. Fuel for the journey: these are some of the best business podcasts available. You can listen in your car, on the subway, or when you’re working out. Pick one or two to read this year: they will change your life. Next: What Is A SWOT Analysis & How Can It Help Your Small Business?